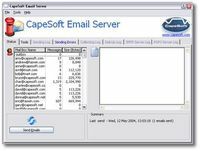 It is widely known that Microsoft Exchange Server 2000/2003 doesn't support receiving mail through the POP3 protocol. However, in practice, it has been shown that many users find the absence of this feature inconvenient. All the existing solutions entice users to use a utility agent receiving mail through the POP3 protocol and delivering it to the Exchange Server through the SMTP protocol. 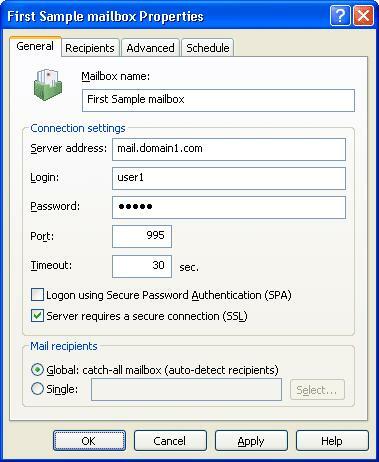 This is a versatile solution equally usable for most SMTP-servers. However, there are a number of negatives with this method. Native POP3 Connector (NPC) offers a standard solution for the problem with receiving mail through the POP3 protocol for Microsoft Exchange Server 2000/2003 and Small Business Server 2000/2003. During the installation, the administrator has the opportunity to install a new type into the Connectors Exchange System Manager group: Native POP3 Connector. 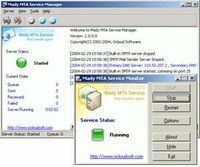 Upon installation, all administration procedures are performed in a way standard for Microsoft Exchange 2000/2003 - by the editing of properties of the Connector installed via Exchange System Manager. NPC features the following advantages and capabilities: integration with Microsoft Exchange Server 2000/2003; support for a large number of mailboxes (each one may be multi-user catchall); multi-threaded processing support; the ability to set a flexible schedule of POP3-mailbox querying; integration into Active Directory; audit through Event Log and more.